Have you ever wondered what Darth Vader would sound like with Winnie-the-Pooh's voice? Oh...you haven't? Too bad, because a video exists that showcases exactly that and you need to see it. It's like the ultimate childhood nostalgia mashup and it will kind of make you wish Pooh had played Darth Vader for real. The video, which is from ConnectiCon, stars voice actor Jim Cummings reading a scene from Star Wars in the voice of the lovable yellow bear. Cummings has been voicing your favorite characters since 1985, taking on roles in major Disney movies like Aladdin and Pocahontas and playing recognizable characters like Ed the hyena in Lion King, Scar in Lion King 2, Cat from Nickelodeon's CatDog, Rasputin from Anastasia and so much more. He's also played Winnie-the-Pooh in over 40 movies, so it's safe to say he's basically the voice of your childhood. 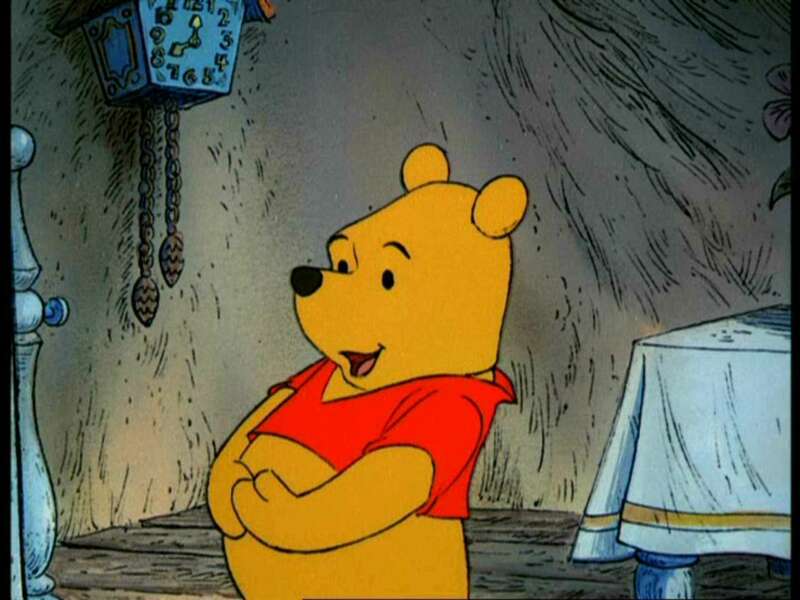 I have to admit, if Winnie-the-Pooh was trying to take over the galaxy, I'd probably let him because he sounds pretty darn cute shouting out intergalactic orders and accusing people of being members of the traitorous rebel alliance. The highlight of the video though is when Cummings uses Pooh's signature phrase saying, "She must have hidden the planes in the escape pod...oh, bother."